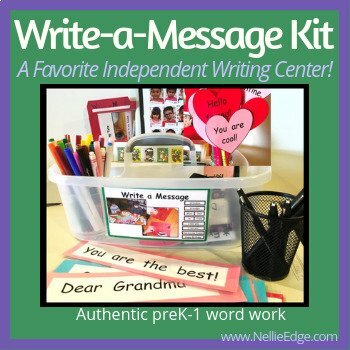 Write-a-Message Center empowers children to use writing for real-world purposes. 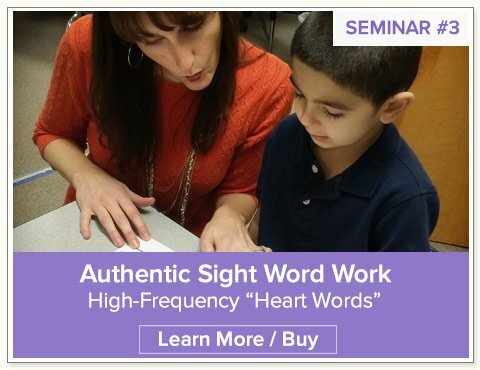 Word work needs to be authentic, differentiated, motivating, and socially meaningful. Create an Independent Writing Center tote that has all the props needed for more proficient writers to soar and to provide scaffolding for younger less experienced writers: information folder, model sentences, photo/name page, black pens, colored pens, assorted blank paper, and envelopes. 2. 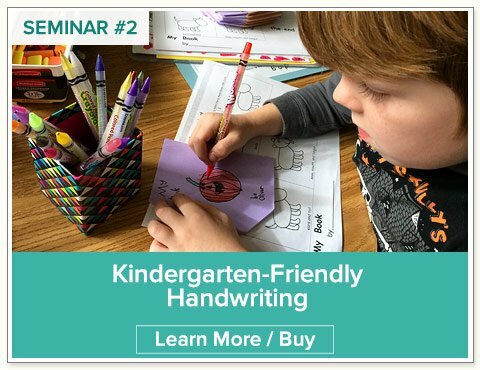 Use Sing, Sign, Spell, and Read! 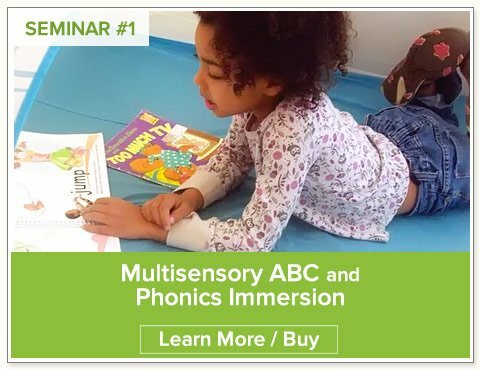 songs to teach students how to spell “To” and “From.” Sing and fingerspell words. 3. Model how to write a message and draw a picture. 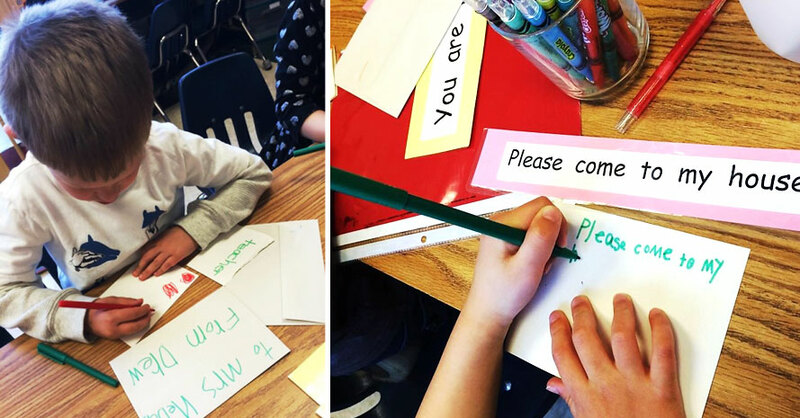 Consider sending each child a simple message: “I like you.” To ____, From _____. 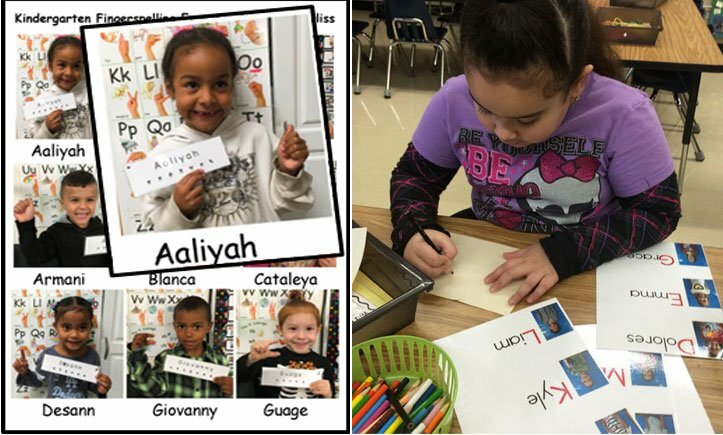 How fun to give the children envelopes with their name on it! 4. Once children know how happy they feel receiving a message, they will be eager to make cards and letters for their family and friends. 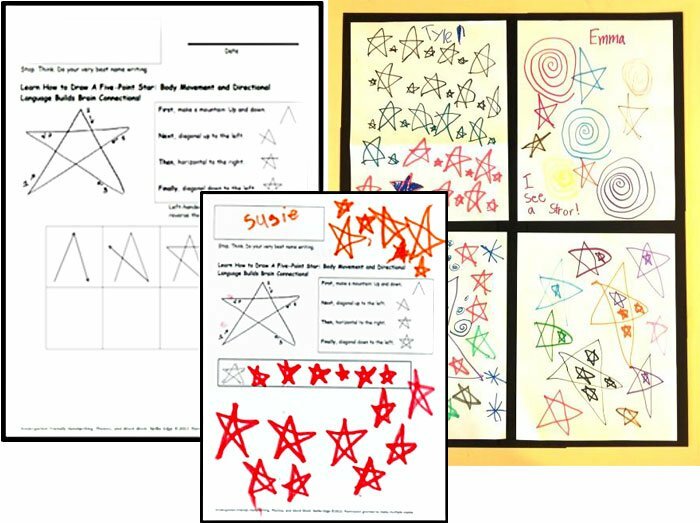 At first, an adult will need to guide children through the expected Independent Writing Center behaviors: Make and “I” Chart. 7. Children will soon start writing “I love you” messages to teacher. Treasure these gifts! Post them on your wall and keep a separate notebook for your growing collections of love and appreciation messages to teacher. 8. Renew interest in this center by changing the color or shape of the paper and adding new pens. Invite children to write a new kind of message: Valentine’ s Day messages, Mother’s Day cards, Thank you messages, and miniature messages. 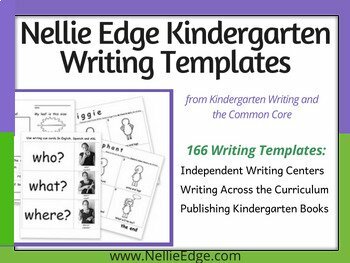 See TPT for Nellie Edge writing templates. 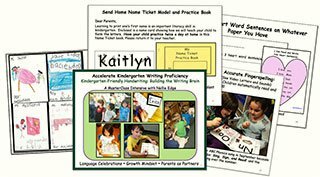 New TPT Write-a-Message Kit has everything you need to build writing proficiency and teach with ELA Common Core Standards in mind. 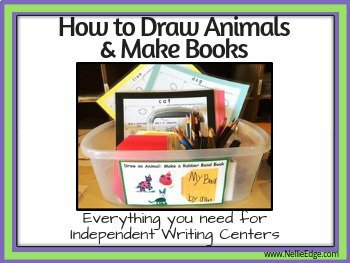 Independent Drawing and Writing Center Kit: Includes a complete set of 11 drawing models and all of the information and support you need to create an Independent Drawing, Writing, and Book Making Center Tote.